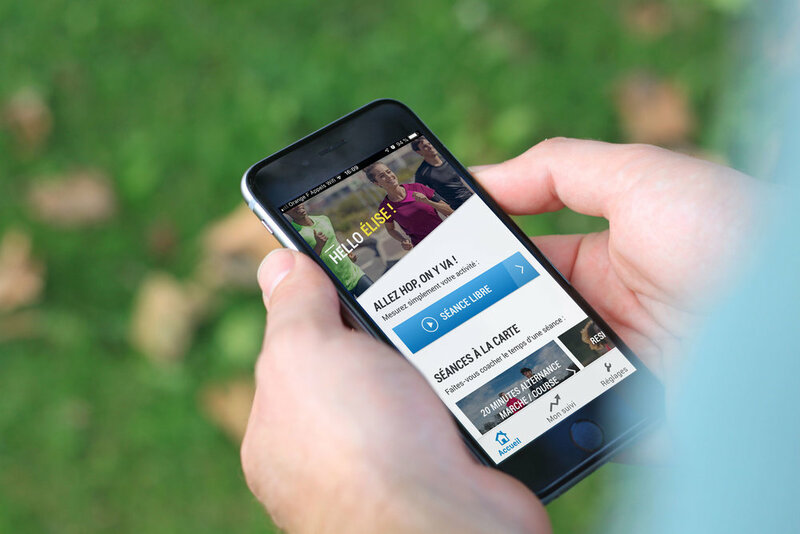 My role : Responsible for the design of Decathlon Coach V2 APP. 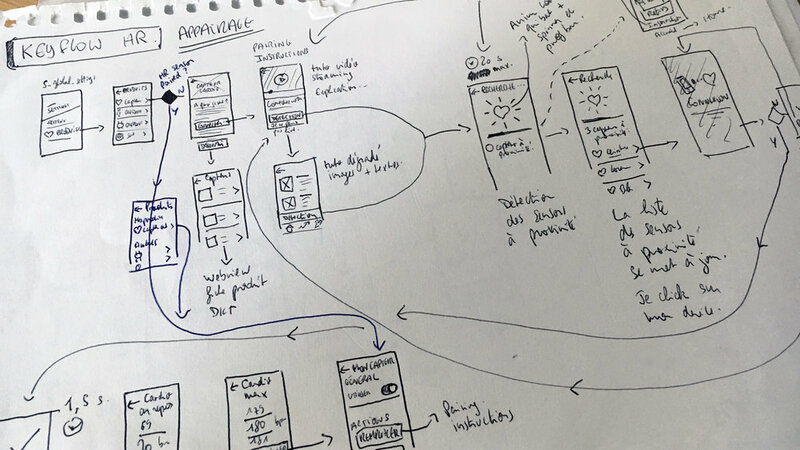 UX and UI : user research with the product manager resulting in personas, UX maps, creation of user flow, wireframes, interactive mock ups, user testing, main part of the end graphics, design specifications for developers. Team members : William Sutter & Pierre Lubin - Product managers, Guillaume Gustin - Engineer responsible for the developments of the app, Charles Ansenss - engineer responsible for the developments of the website and the infrastructure, Julien Robidet - iOS lead dev, Loïc Depret - Engineer in charge of DCM the tool to build coaching programs, Diane Garreau - dialogue leader, Jerome Lacoste - team leader, Camille Boutaert - Communication, Vincent Ducorney - Sales director, Elise Martinet - UI designer. Description : Decathlon Coach application aims to make sport accessible to many by helping people reach their objectives and stay fit and healthy thanks to coaching programs and advice for multiple sports. 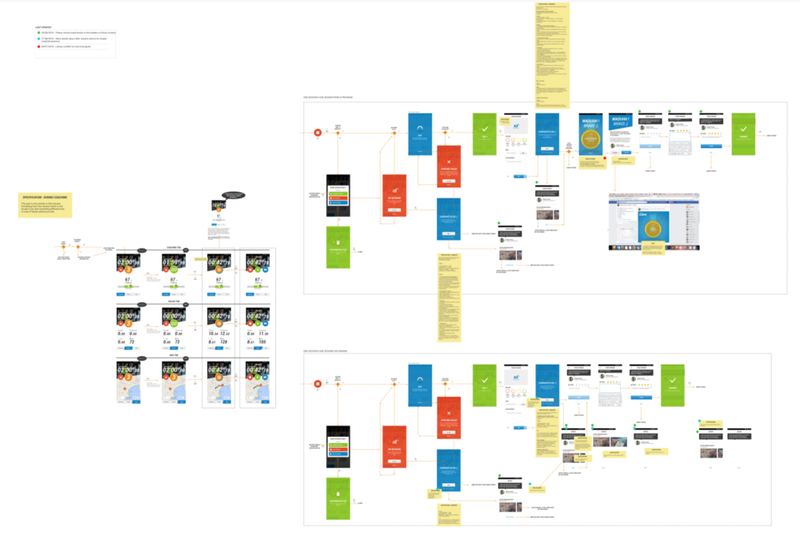 The version 1 of the app is becoming quite old in terms of code and the UX is not really adapted anymore to what we want to propose to our users : the app passed from a tracking app to a coaching app. For all these reasons we decided to re-make totally the app in 2017. 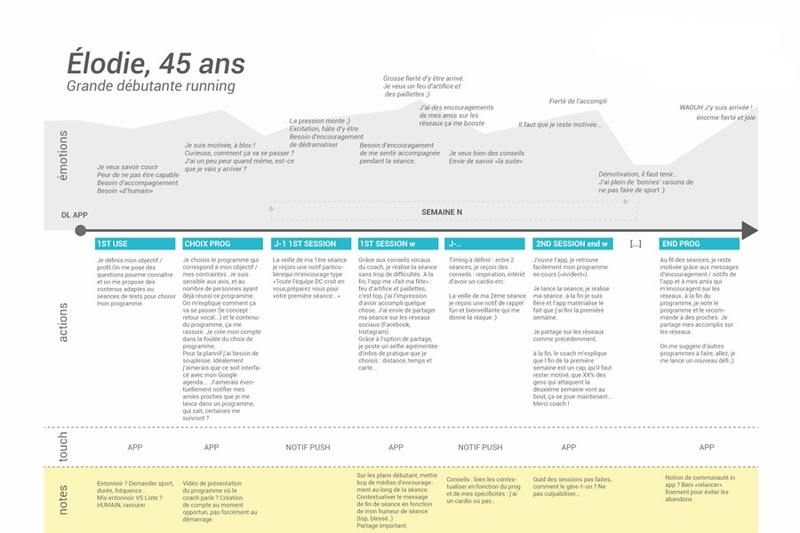 To achieve that, I’ve been working hard, starting with user research with the product manager to define personas, UX maps, user stories… Then I gave life to the concept with an interactive mockup that we tested with end users (2 batches of qualitative testing with improvements along the way). I also made quantitative tests to refine the design. Today the app is not far from going to beta testing :) It’s been a long and windy way but we’re confident with this new version and can’t wait it to be released! We still listen a lot to all feedbacks to refine and refine again the experience. Interested in early testing the V2 of the app? Contact me!